Recently I had some colleagues ask me if there was a script I could write, or one I could direct them to that would send them an email notification of a form submission. While my head swelled an enormous amount at the fact they thought I could scribble out a form script on demand, I pulled myself together and brought to their attention, a small overlooked feature in a linked Google Form Sheet. 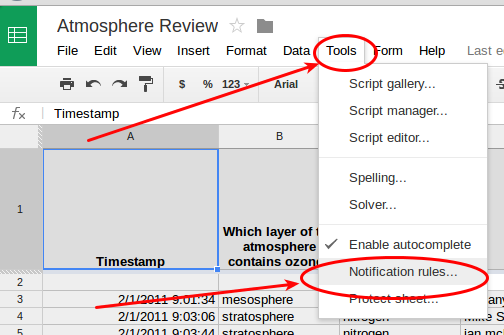 Here is the quick and easy way to get notifications of form submissions, or any changes made to your Google Form Spreadsheet. 1) First, create a form that will collect a lot of data that you would require some notification. This is important. You don’t' want to flood your gmail with unimportant notifications of a form submission. 2) Once the form is created, link a Google Sheet to the form, and navigate to that sheet. It doesn't matter if there are any submissions yet. 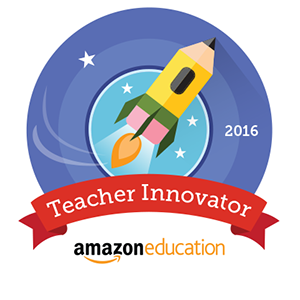 4) From here, you are presented with a pop-up window with a lot of different choices. Choose the one that best fits your need and just like that, you will now be alerted to the traffic on your form. 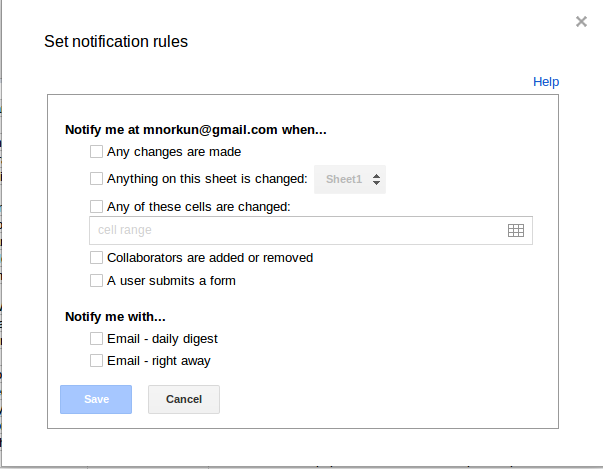 5) Optional- once you set a notification rule; create a gmail filter to redirect all those new notification into one spot for better organization.